The African Ecology and Conservation program centers on learning to do quality field research in South Africa’s varied biomes. The course travels through national parks and reserves and visits historical sites from the far north of the country to the Cape. Students spend the majority of the semester in Kruger National Park, one of the largest conservation areas in Africa and the oldest national park in South Africa. Students are mentored by local and international academics, conservation managers, and other practitioners in ecology and conservation. By designing research projects with their professors, students will contribute meaningful scientific data to issues faced by managers in South African National Parks. A highlight of the course is a three-night homestay in a rural community; students leave touched by their time shared with the community and gain a deeper sense of cultural and social awareness. South Africa is a diverse, progressive, dynamic developing nation that continues to redefine itself in the post-apartheid era. It has strong tradition of environmental protection, which has resulted in the creation of many protected areas that offer excellent research opportunities for students. Students interact with OTS South Africa faculty and learn from visiting international academics , local South African conservation managers and other expert practitioners. The ecology courses, which focus on the understanding of socio-ecological systems strongly emphasize field-based, experiential learning. Following the introductory period where we focus on developing key skills and socio-economic perspectives on conservation in South Africa, students spend the middle portion of the course interacting with invited faculty and conservation practitioners, and visiting selected sites. This provides students with the necessary experience in research and exposure to a range in different approaches to science to prepare them to conduct independent research. During the final quarter of the course, students engage in independent research projects. Students work with their OTS academic staff to design research projects that will contribute meaningful scientific data to issues faced by managers in South African National Parks. Students will be exposed to the country’s vast cultural and ecological diversity as they travel to various regions that represent distinct biomes in South Africa. Your journey around the country will take you to the savanna of Kruger National Park in the lowveld, the agriculturally rich highveld nearer Johannesburg, and the biodiversity hotspots of the fynbos that surrounds Cape Town. Steeped in a rich history, Cape Town is a cultural melting pot with a diverse and vibrant. From Cape Town you will make an excursion to Robben Island, where Nelson Mandela was imprisoned for 18 years of his 27 year sentence. The History through Culture course, which provides important socio-economic context for the ecology and conservation courses, includes a three-night homestay with a local family in the village of HaMakuya. You will conduct research into rural livelihoods, and the experience will provide you with linguistic, culinary and other cultural exchanges with local people. You will be expected to share in music, dance, and craft workshops. 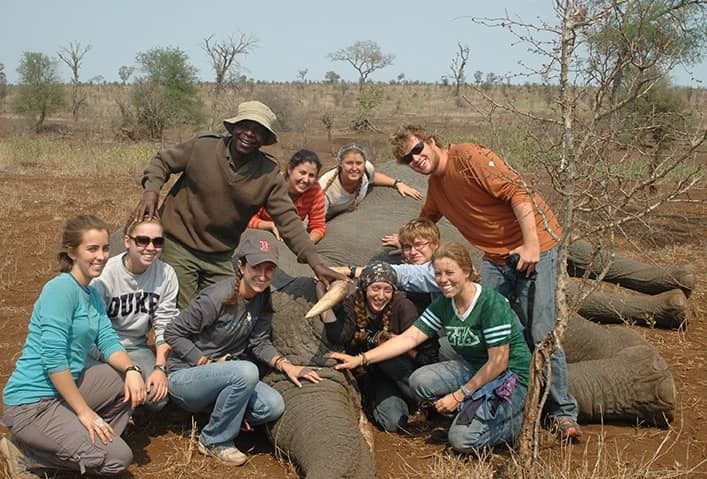 The African Ecology and Conservation program is comprised of four core courses. Each course is worth four credit hours and is offered through Auburn University at Montgomery. You will take four courses as described below. Science courses will be taught by OTS faculty, distinguished visiting scientists, and conservation practitioners. Prominent South African historians and cultural theorists will lead the course on History and Culture of South Africa. The program is physically and intellectually demanding, stressing full immersion in hands-on scientific and cultural studies. This course serves to integrate field and classroom instruction to provide a systematic understanding of ecological patterns and processes by studying examples from South Africa’s diverse ecosystems with an emphasis on savannas. We concentrate on factors that determine the form and function of both individual organisms and ecosystems, using a range of African examples (marine, freshwater, savannas, arid-lands, and fynbos). In engaging with ecological theory, the course also aims to highlight characteristics distinctive of South African ecology, such as climatic variability, the importance of geology (bottom-up controls), the role of disturbance by large herbivorous mammals, the importance of fire, and the long history of people in ecosystems (top-down controls). Course topics will focus on conceptual problems and issues that guide current ecological research in South Africa. Classroom instruction will include lectures given by program faculty and visiting faculty, as well as discussions of assigned readings. Throughout the semester, researchers working at Kruger National Park (KNP) and other South African field sites, including invited faculty from other local institutions will deliver lectures outlining the results of on-going projects. Consequently, students will have frequent exposure to current research in South Africa. Fieldwork is the central component of the course. During the semester, the course is based primarily at Kruger National Park and visits several distinct field sites within the park. In addition, the course travels to other sites in South Africa to highlight the climatic and biotic diversity of the country. For significant portions of the course, you will visit sites outside the KNP such as the arid northern Limpopo regions, Barberton mountain range, Cape Floristic Kingdom and coastal regions. Field orientation at each site will include the identification and natural history of important plant and animal species. These sessions will also serve to stimulate questions you may address in research projects. At the end of the semester, you will complete an independent research project (of about 15 days’ duration from start to finish). Working in small groups, you will present a research protocol to the class, collect and analyze data, and prepare a report in the style of a scientific paper. You will also present your data orally in a research symposium. You will be mentored by a faculty member throughout the process who will help guide the development of your research and writing skills. This course, the scientific “toolbox” of the program, introduces you to research design (approach, methods, and techniques) in the context of South African ecosystems. Several approaches to scientific inquiry are demonstrated and discussed, with special emphasis on hypothesis testing, statistical analysis, GIS skills and scientific writing. You will also be trained in the design and implementation of long-term ecological monitoring and research projects. Tutoring sessions to reflect on Faculty Field Problems (FFPs) will highlight the different approaches adopted by visiting faculty to anticipate approaches to independent field projects. The emphasis of the statistics component of this course is to get you comfortable with 1) curating and managing ecological data, 2) selecting and interpreting appropriate statistical tests, and 3) writing-up and graphically presenting your findings. The course starts by discussing the role of statistics as a part of the scientific method and aims to get students to a point where they are equipped with the necessary design and analysis skills to carry out their own research projects. This includes orientation to software packages (Excel, R, QGIS and Primer). This course also includes workshops dealing with philosophy and methods of science and culminates in a science-writing workshop, which focuses on the product of your scientific project. The science-writing workshop introduces you to world class standards of science writing. In faculty-guided field projects (FFPs), visiting faculty members select the topic focusing on novel issues in the ecology and/or conservation of savannas, fynbos or marine systems. They guide you through the process of identifying narrower questions about the topic, developing relevant hypotheses, designing tests of these hypotheses and interpreting data. Fieldwork for projects are each two to three days in length, and we usually invite 5 – 7 faculty to teach on the course. Although all of you will participate in data collection, only a core group will produce a report on the topic. You will choose a project and mentor per your interest and lead the design and management of the project under the guidance of the visiting faculty. An additional requirement of the course is to participate in a biodiversity survey to learn methods important to conservation biology. You will collect insect, plant and small vertebrate samples. The biodiversity collection exercise provides practical skills and experience in the collection and curation of specimens, and affords students the opportunity to learn more about the taxonomy and natural history of the specimens they collect. Furthermore, student collections provide SANParks with valuable specimens from key sites on the long-term research plots (the Granite “supersite”). These are then accessioned in the herbarium Skukuza. 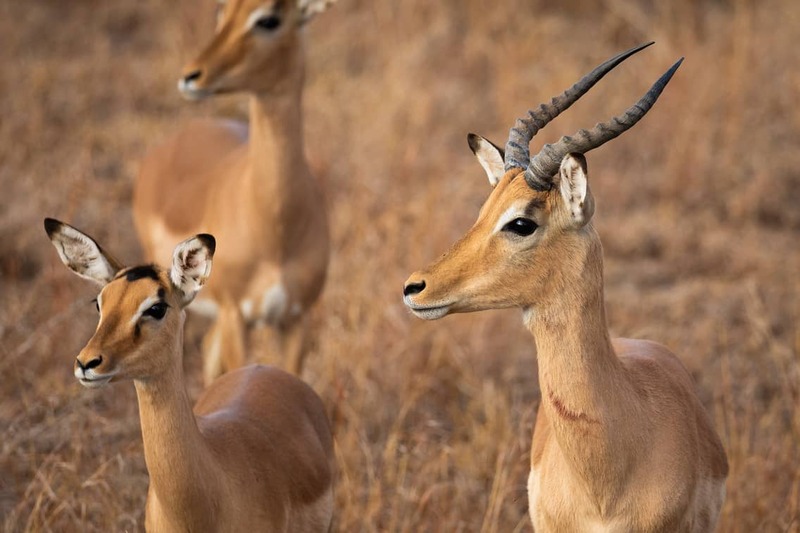 The Conservation and Management of Protected Areas in South Africa course explores the history of conservation biology as a science and practice and highlights the importance of maintaining biodiversity to ensure ecosystem functioning. Emphasis is placed on understanding; 1) the links between pattern and process, 2) the strategies and tools available to conservationists to maintain biodiversity and ecosystem functioning and 3) the debates around the maintenance of biodiversity in human-dominated landscapes. You will learn about current global challenges faced by conservation and study examples that demonstrate conservation biology concepts a in the South African context. Given the diversity of South African ecosystems and the need to find balance between the development needs of an emerging economy and conservation goals, South Africa is the ideal laboratory to study threats to biodiversity and how to manage these. This course will introduce you to international conservation science concepts, as well as local innovations and demonstrate how these are used to achieve conservation goals locally. Finally, you will also gain extensive knowledge on the realities of conservation management in Kruger National Park. You will study major issues relevant to the management of the Kruger Park, such as control of invasive exotic species, fire as a management tool, the management of disease, rhino poaching and elephant management. Strategic Adaptive Management lies at the heart of conservation management philosophy in the Kruger Park, and we will explore how this is applied to these key management challenges and its applicability abroad. Critical to the success of management of common property resources (e.g. water and rare and threatened taxa) is the partnership between national parks and local human communities, water quality and management within the Park and surrounding communities, relocation of big game, and transfrontier parks. The course poses three broad questions: 1) What is biodiversity? 2) Why conserve biodiversity? and 3) How do we currently understand best practice for biodiversity conservation? Through these questions students will grapple with definitions of biodiversity, how it is measured, why it is important and its current state both globally and within South Africa. The history of, and ethical motivations for, conservation will be covered with emphasis on the shifting paradigms from species-based conservation to that of functional ecosystems. The role of ecology and the contribution of ecological theory to conservation biology, both past and present will be covered through teachings on island biogeography, meta-population and patch dynamic theory as well as complexity theory, resilience, and adaptive management. You will then examine how our understanding of systems better allows us to conserve them both within and outside protected areas by learning about systematic conservation planning, and integrated conservation strategies. You will also confront the problem of identifying what is “natural” in a landscape with a long and complex human influence and will learn about community-based conservation, natural resource use and common property resource management. You will also debate the feasibility of simultaneously achieving conservation and development goals. Instruction consists of lectures, discussions, case studies and faculty-led field projects. In addition, research papers and review articles are regularly assigned as readings. 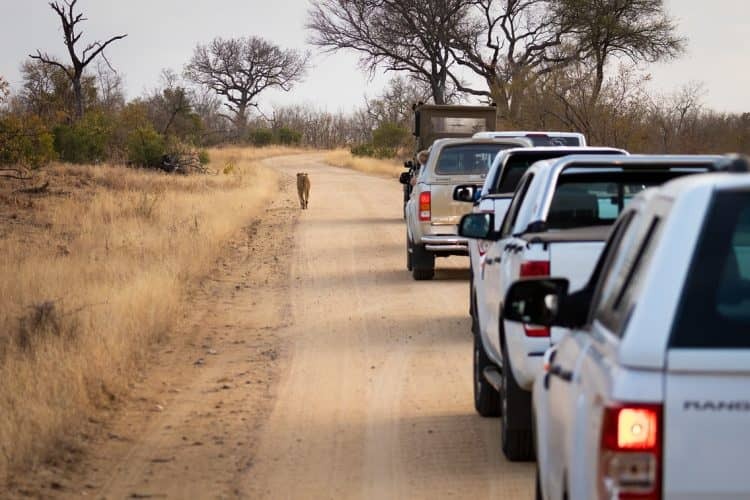 Work conducted in the Kruger National Park and exposure to park scientists will highlight major conceptual themes as well as practical challenges faced by South Africa and other African countries. The primary focus will be an in-depth analysis of management issues within Kruger National Park. The course will be integrated into the 15-week field program, with some invited professors and practitioners incorporated into activities within Kruger. There will also be visits to sites of cultural significance, museums and communities outside the park. By the end of the course, you are expected to have a broad overview and understanding of the social, political, cultural diversity, and a better appreciation of the historical basis of contemporary issues in South Africa. OTS semester programs are open to all undergraduate students in good standing with their home institution who are at least 18 years of age and have a minimum 2.7 GPA. Students applying to the African Ecology and Conservation program must have completed the equivalent of one year (or two semesters) of college-level biology (or related coursework). If you are unsure if you meet these requirements, please email undergraduate@tropicalstudies.org. I love every one of these professors. Engaging and incredibly passionate. Studying abroad in South Africa with OTS was an incredible experience. Everything was amazing from the faculty to the sites visited. One of the best things about the program was the field experience. The access to the national parks visited and permission to run experiments in them was unparalleled. If you want to do field work in South Africa, this is the program for you! Nylsvley Nature Reserve is one of the most intensively studied savannas in the world. It is two hours north of Johannesburg. It has many species of wild animals, but the larger more dangerous species are absent. The wetland at Nylsvley is a RAMSAR site, considered to be of international importance, and is designated an Important Bird Area (IBA). Nylsvley has plenty of space for moving around and you can explore the reserve on foot, so this is an ideal site to adjust to the time and weather change, to stretch your legs after the long transatlantic flight, and to jump into the program. Orientation to South Africa and the OTS program will occur at Nylsvley. You will spend time with all the permanent faculty members and get to know all of your fellow students. It is from here that the basics of savanna ecology will be taught, as well as the core of your History and Culture course. Pullen farm is a field research station managed by the University of the Witwaterand. It is located to the south of the Kruger National Park in the Barberton mountain range. The area is a more mesic savanna, and is rich in faunal diversity and especially birds. You will spend time with all the permanent faculty members and get to know all of your fellow students. It is here that the basics of savanna ecology will be taught, as well as the core of your History and Culture course. Skukuza is the main camp in the Kruger National Park and houses the headquarters for OTS in South Africa. 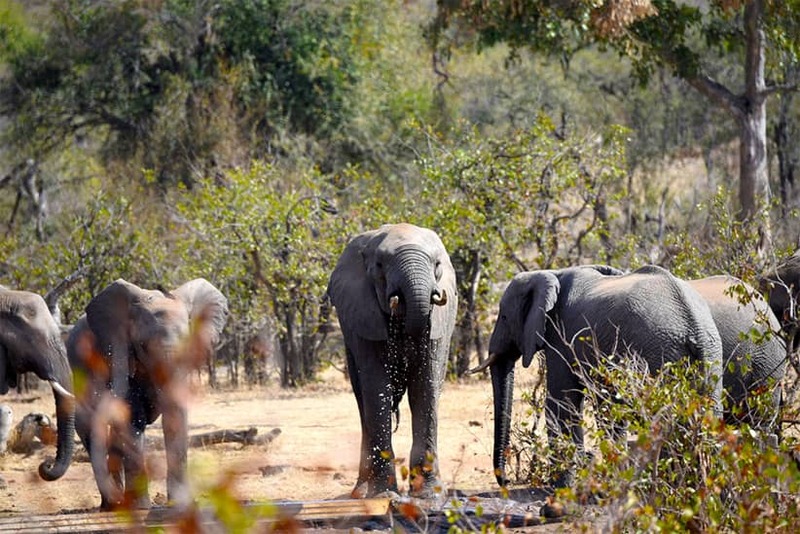 The Kruger National Park is one of South Africa’s most visited National Parks with over 1 million visitors each year. Kruger National Park is one of Africa’s largest protected areas and is famous for both its fauna and flora; in particular, the diversity of wildlife. While in Skukuza, you will participate in a variety of research projects. While in the north of South Africa, you will have an opportunity to explore and conduct research in another camp in the park. Here you will run projects with guest faculty. The HaMakuya leg of the semester forms an integral component of the History through Culture program. HaMakuya lies just outside Kruger National Park, in close proximity to Punda Maria, a northern rest camp in the park. HaMakuya offers the opportunity to become immersed in the rich culture of the Venda people. During this period, the group will interact closely with host families during a three-day homestay, spend time experiencing what life is like as a rural person in South Africa, and participate in research with a focus on community livelihoods within the area. Your semester break will be organized around Cape Town. Cape Town is situated in the Western Cape, in one of South Africa’s premier tourist destinations and is known for its landmarks, including Cape Point and Table Mountain, and all round exquisite coastlines. Other attractions include the Victoria and Alfred Waterfront, the Cape Whale Coast and wine routes. We will spend several* nights in Cape Town During your mid-term break. *The number of nights in Cape Town varies every semester. Please contact undergraduate@tropicalstudies.org with specific information about the upcoming semester. So named for the rare cedar tree found in the western areas of the spectacular Cape Fold Mountain Range. Whilst in the Cederberg we will explore fynbos ecology, the management of catchment systems and monitoring of rare mammals. An area of cultural and historical significance, San frequented the areas and so we will also explore the many caves in the area looking for bushman paintings. We will stay at either at Travellers Restor Krom River, a farm near the world famous Rocklands rock climbing district. While here you will participate in research projects led by guest faculty. Soetwater is situated between the sea and Slangkop, close to the town of Kommetjie on the Atlantic coastline. This area encompasses a large number of vegetation types such as fynbos, vegetated dune systems and mountain scree slopes, as well as a coastline that includes both sandy and rocky shores. This area is also one of the only undeveloped stretches of coastline along the peninsula. 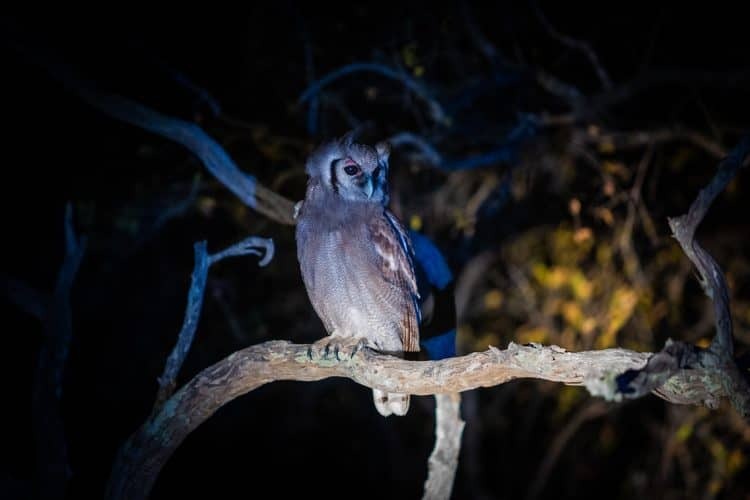 For this reason it forms an important component on the City of Cape Town’s Biodiversity Network and is included in the Cape Peninsula Protected Natural Environment. While here you will participate in research projects led by guest faculty. Your chance to work in the Cape Fynbos and Strandveld, one of the world’s great biodiversity hotspots, will come with our stay near the Langebaan Lagoon, a world renowned birding hotspot. We will spend time working on intertidal biology, freshwater ecology, fynbos ecology and alien invasive species at this idyllic site. Dr. Kruger is the Director of Curriculum for OTS and is based in Skukuza, Kruger National Park. His primary interests lie in functional ecology and how species response to disturbance. His interests lie specifically on the demography of woody plants in a variety of SA biomes, the bottlenecks imposed in each system, and which traits are critical in overcoming these. During his Ph.D., Dr. Kruger focused on the importance of re-sprouting in South African coastal forests, fynbos and savannas. 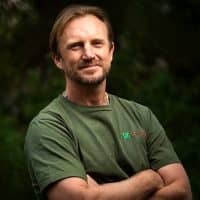 His current work is focused on the impact that elephants and fire have on savannas and how resilient plants and communities might be in response to this disturbance. Allied to this is work on the impact of the loss of vegetation complexity on resident faunal communities. A large portion of Dr. Kruger’s private consulting work has been in the field of conservation, in particular conservation planning. This work has included surveys of natural habitats (biodiversity surveys), identifying the threats (development, habitat transformation, alien vegetation/faunal invasives), and the setting of conservation targets. This work has provided him with the opportunity to become more actively involved in conservation, whilst still engaging on a theoretical level. Born into a family of biologists and humanitarians, Dr. Kruger has followed his passion for both by running field based, experiential learning programs in and around South Africa. Given the challenges facing education institutions (lack of resources, limited access to the field) and the barriers to education many students face, he sees our goal as OTS to be the dismantling of these obstacles. 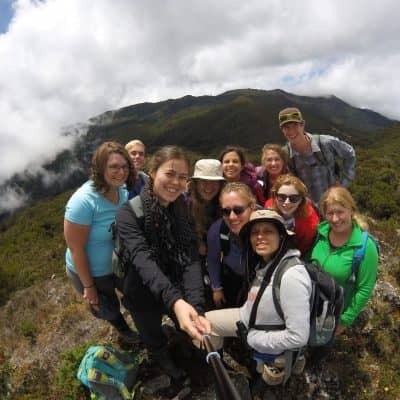 In delivering life changing, academically rigorous field courses, Dr. Kruger aims for OTS programs to provide experiences that allow for growth in aspirations for students and academics alike. He feels strongly that we need to rethink our role in society and return our focus to humanity rather than self-actualization and how we could contribute to others. Aside from focusing on quality, integrity and creativity, Dr. Kruger has found that the single most important ingredient in education is to have fun. Dr. Coetzee is fascinated by the patterns and processes structuring biodiversity, and how these change with human activity, both for better or more regularly, for worse. He combines ecology, biogeography and community ecology with a strong quantitative statistical focus. While his focus is often on birds he has a broad taxonomic interest. He has a passion for protected areas, their optimal designation and their ecological efficacy – whether they achieve the conservation goals set out for them, especially given the socio-economic and political realities of the landscapes in which they are embedded. His research has a strong applied science and policy emphasis, and he endeavors to design research with stakeholders that are relevant to their needs. He also analyses conservation policy, and aims to structure his research to feed into global environmental decision-making. 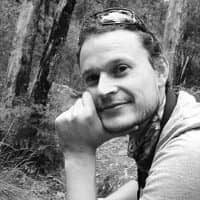 Dr. Coetzee hopes to further develop his interest in how large spatial scale processes interact with smaller scale processes in savanna systems, and vice versa, as their interacting dynamics are rarely well quantified. This is of particular interest to ensure that protected areas such as Kruger National Park deliver on its potential conservation benefits. He aims to use a range of techniques at the disposal of the modern ecologist, ranging from remote sensing platforms and spatial modeling, to fine scale observational and manipulative field studies. Dr. Nupen’s professional interests span Conservation Biology and Molecular Ecology, with strong emphasis on the various ways genetic techniques can be used to help solve conservation problems. Teaching on OTS allows her to combine her passion for science-based conservation with fieldwork and knowledge-sharing. Over the course of her travels, studies and teaching, she has learned to appreciate the complexity of biodiversity quantification and conservation, and the importance of local communities benefitting from conservation programmes. 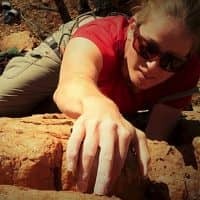 She believes that hands-on in situ field-time and learning is the best way to effectively impart the necessary knowledge and skills to future natural scientists and conservationists. Dr. Nupen has worked on research projects investigating various aspects of marine ecology, mammalian diversity, avian biology, frog and reptile population dynamics, and the floral and faunal rehabilitation of disturbed areas. Her current work focuses on conservation breeding, wildlife diseases in birds and mammals, conservation genomics and phylogeograophy. Dr. Nupen’s passion is conducting research that contributes to conservation efforts and protecting the environment. At OTS she can feed this passion by participating in a wide range of research projects while training future conservation leaders. 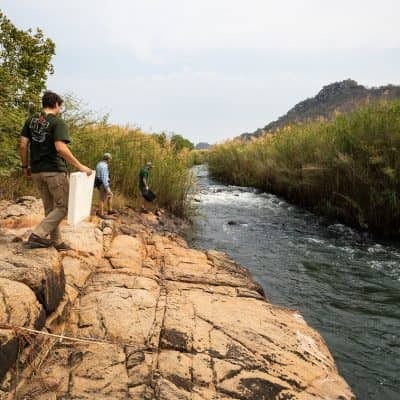 The rich animal and plant diversity of the ecosystems that we visit during the OTS African Ecology and Conservation (AEC) Programme provide wonderful teaching opportunities that are not usually available in traditional university settings. She finds it rewarding to help students build an authentic appreciation of the complexity of African ecosystems, and believes that students find great satisfaction in learning about African Ecology. This extends to understanding the challenges of implementing effective conservation measures in the southern African sub-region and learning how to problem-solve using evidence-based approaches. Dr. Nupen loves being outdoors and finds the study of nature to be an inspiring and endlessly fascinating pursuit. She believes strongly that OTS’ AEC program provides a range of skills that will allow students to make informed choices and make valuable contributions to society and conservation in whatever field they choose. For most of the program, you will be living with other students in large dormitory rooms, cottages with four to six students, and smaller cottages with two students per room. Meals are provided by our caterers, Shadreck and co. who refer to themselves as AggyShadow Catering Company. The food is fantastic, regularly cited as one of the highlights of the program, and we warn you in advance about the possibility of expanding waistlines!! The menu is highly varied and usually dinners consist of a variety of choices of side dishes. The program caters for those of you with special dietary requirements (i.e. vegetarians, vegans) or food allergies but please let us know in advance so that Shadreck can prepare accordingly. You must have a valid passport and it must be valid for at least six months after the end date of the program. You will also need a Visitor’s Visa to enter South Africa if you are not South African. Once enrolled in the program, OTS will provide you with information about applying to the South African Consulate for your Visitor’s Visa. This information will only cover the time period in which you will be with the OTS program. For detailed instructions on how to apply and the documentation you will need, please visit contact the Enrollment Management team at undergraduate@tropicalstudies.org. Note: You will need to apply (in person) to your regional South African Consulate Office. If you plan to travel elsewhere in South Africa after the semester, you must check with the South African Consulate for appropriate Visitor’s Visa requirements. If you intend to stay and travel after the program you may want to apply for a longer visa than just the duration of the course. Many students change their mind about staying on after the program (i.e. they decide to stay longer) visas can no longer be extended from within South Africa, instead you must travel to your home country and apply from there, if necessary. Therefore it is a good idea to apply for a visa that enables you to stay in the country at least two or three weeks past the course end date. We have also had students choose to stay on to do some research after the program. So if you think you might be interested in getting involved in something like this, do not hesitate to contact Dr. Laurence Kruger. If you are not traveling on a U.S. passport, please contact the South African Consulate to learn what will be required to receive your Visitor’s Visa. OTS is deeply committed to student safety and well-being, we do not expose students to unnecessary danger or risk. We monitor national and international events that might affect our students. Five decades of risk assessment, emergency response, and crisis resolution have enabled OTS to maximize student safety and security. All students participate in an on-site orientation program upon arrival in South Africa. For our most current safety information, contact the OTS Enrollment Management staff at undergraduate@tropicalstudies.org.